Wondering whether to buy fat burner supplements online to lose weight or get leaner? 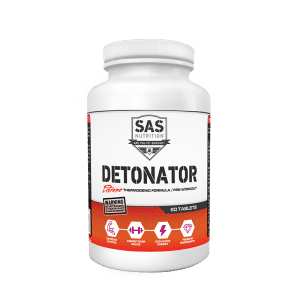 SAS Nutrition offers some of the highest quality supplements for encouraging fat burning from exercise you can find online in the UK. There is no silver bullet or magic pill you can take to lose weight or burn fat; however, you can extend how much fat tissue you tend to burn from regular exercise and a healthy diet. Choosing to buy fat burner supplements online is the first step towards maximising fat loss from a healthy lifestyle. Some supplements will use a combination of these different effects in order to make them more effective. However, the wide range of deliberate effects can make it easier for you to choose the fat burner which will work best for your own individual needs. Caffeine is a great addition to any fat burning supplement because it has a wide variety of effects that contribute to weight loss, thus complementing the other compounds (green tea extract, etc) already present in the pill. Caffeine also reduces your appetite, in conjunction with other appetite suppressants, this makes fasting or simply eating smaller portions much easier for the average individual. As such, the general consensus is that the best fat burners on the market will inevitably have some quantity of caffeine in them. Niacin is an important water soluble B-vitamin. It has been used as far back as the 1950s in order to alleviate high cholesterol in certain individuals. Supplements commonly referred to as “Fat Burners” are normally just supplements designed to help you lose weight. The most common of which are fat burning tablets. There is a massive variety of different compounds with different results which can be used to assist in your weight loss. This can be done with appetite suppression, which makes dieting easier and causes you to naturally eat less. Or it can be done with thermogenic compounds: compounds that cause you to expend energy by heating your body up. Many fat burners also contain stimulants which can do a little bit of both. Yes, however there are a lot of public misconceptions surrounding them. many people believe that these pills can be used in place of a good diet and moderate exercise. 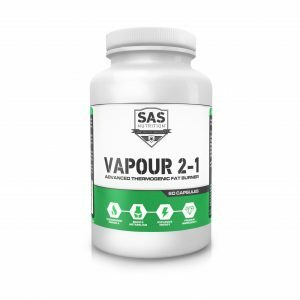 This is simply not the case – these supplements are designed to assist you whilst utilising conventional weight loss methods, not replace them entirely. The best fat burners in the UK can not violate the laws of thermodynamics. For example, they will not work if you continually take in energy at a greater rate than you are regularly expending. Fat burners may cause you to expend more energy through their thermogenic and stimulant processes, but this can be offset quite quickly if you’re overeating above your daily expenditure by a thousand calories every single day. It is always best to immerse yourself in a basic knowledge of fitness and exercise before asking “do fat burners really work”, as this will enable you to approach your training with confidence and the knowledge to be able to utilise them properly. You will find that the most effective fat burners are the ones being used by people who know how to time their doses efficiently. Do Fat Burners Have Side Effects? This depends on the type of fat burner used. If your fat burner contains caffeine (Most do) then you will invariably encounter all of the side effects associated with caffeine at that particular doses. For example. If you take too many you may encounter side effects such as anxiety or an inability to sleep (especially if the dose it taken later at night and not in the morning). Some people report feeling jittery but this can largely be due to dehydration brought on by the caffeine, you can offset this by drinking water. The thermogenic compounds present (including caffeine) in fat burners also bring with them any side effects you may have if you’ve taken thermogenic compounds before. As they heat you up, it’s generally a terrible idea to mix them with alcohol (As alcohol is also thermogenic). Will This Burn Fat From My Stomach? This will burn fat from all over your body, it is impossible to target a specific area of the body as fat distribution (where your body chooses to place fat and subsequently burn it from first) is largely genetic. If you want to have a flat stomach, you need to lower your overall body fat percentage – if you see a product that promises “spot reduction” there is a very high likelihood that it is a scam. Even the best fat burners on the market can’t achieve spot reduction – because it’s biologically impossible to achieve without surgery. Can I Take This Before A Workout? Our fat burners can double as a pre-workout due to their caffeine content. As such the same discretion is advised when using them as any pre-workout, please refrain from extensive cardiovascular exercise as your heart rate will already be significantly higher due to the stimulants present. 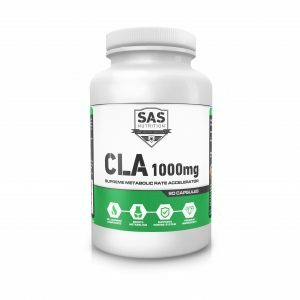 Exercises along the lines of strength training and hypertrophy training are preferable when using this supplement. 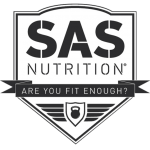 Get in touch with the SAS Nutrition team by calling 0844 740 8021 or sending us an email via our online contact form.